The Sensation is a custom built 53' Carolina style Sportfisher built by Jarrett Bay and powered by a CAT C-30 with an impressive cruise speed. This makes for a very comfortable ride for your fishing adventure off the waters of Morehead City, NC. 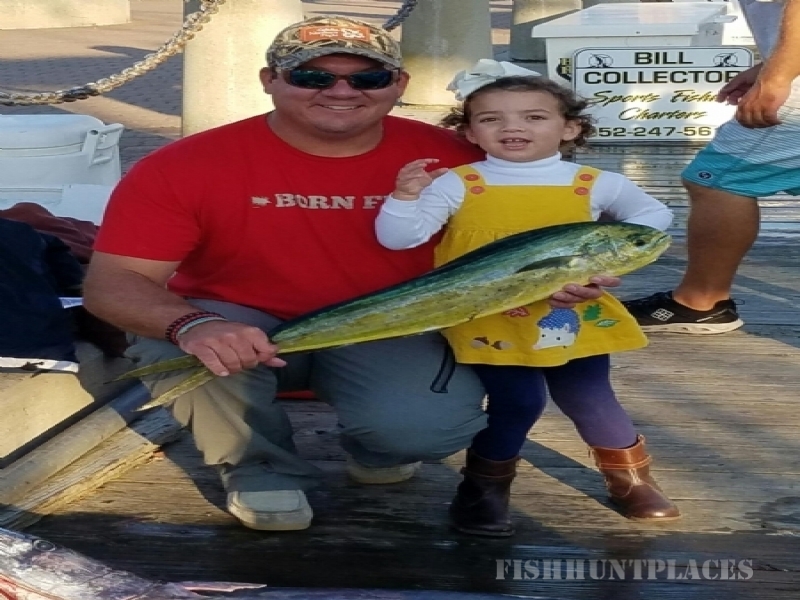 Our fishing grounds offer a wonderful variety of the best sportfishing in the world... a real fishing paradise of all types of species such as Wahoo, Mahi-Mahi, Mackerel, Giant Bluefin, Blue Marlin, Sailfish, White Marlin and so on. 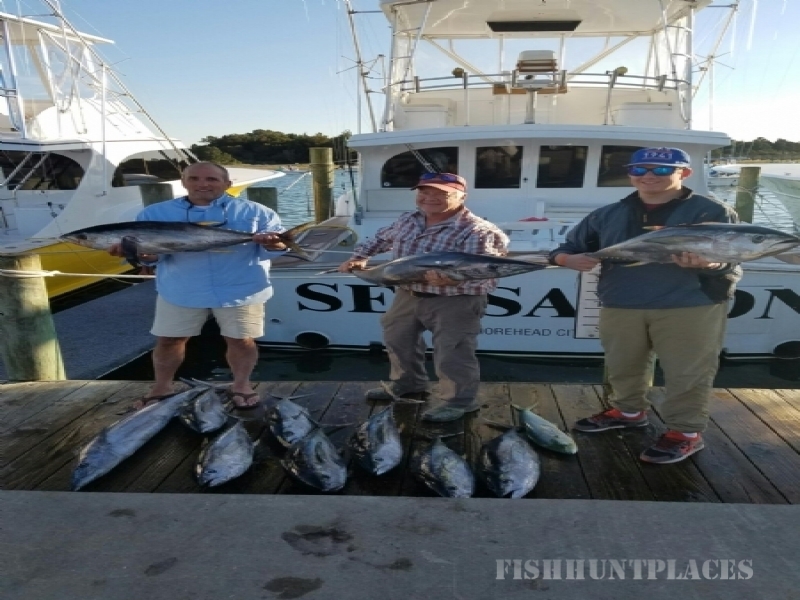 The Sensation has a proven fish catching record with Captain Dale Britt at the helm. Whether you want to take fresh fish home to family and friends, or compete in some of the best fishing tournaments in the world, the crew of the Sensation will give 150% to make sure that your fishing experience is both productive and enjoyable. The Sensation can carry up to 6 passengers and supplies everything you need to catch fish. 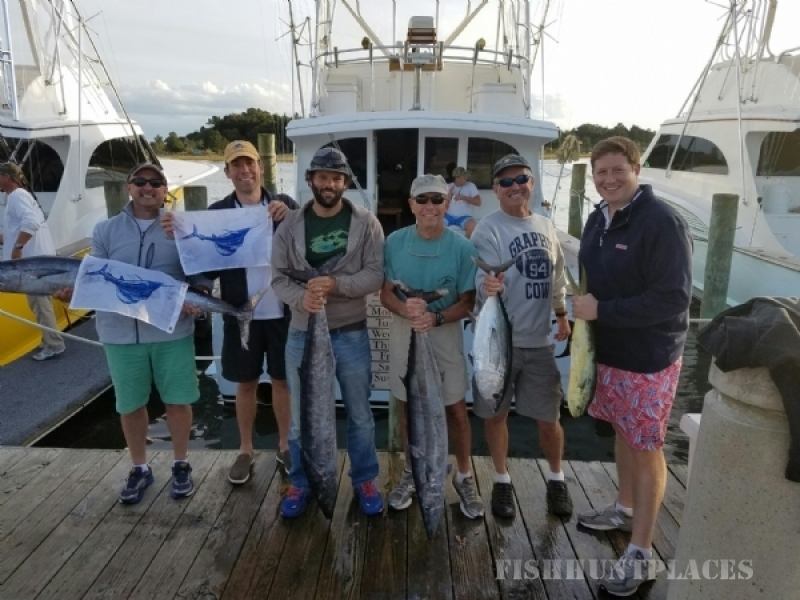 Captain Britt has placed in many tournaments such as the Big Rock Blue Marlin Tournament, Ducks Unlimited, Pirate's Cove Billfish Tournament, Cape Fear Billfish Tournament, Hatteras Village Open, Swansboro Rotary Memorial Tornament and the Hatteras Marlin Club Tournament. He has also represented North Carolina in the NC Governor's Cup Shootout vs. South Carolina and Georgia... as well as being a tagging captain for the Giant Bluefin Program headed up by Stanford University's Dr. Barbara Block. 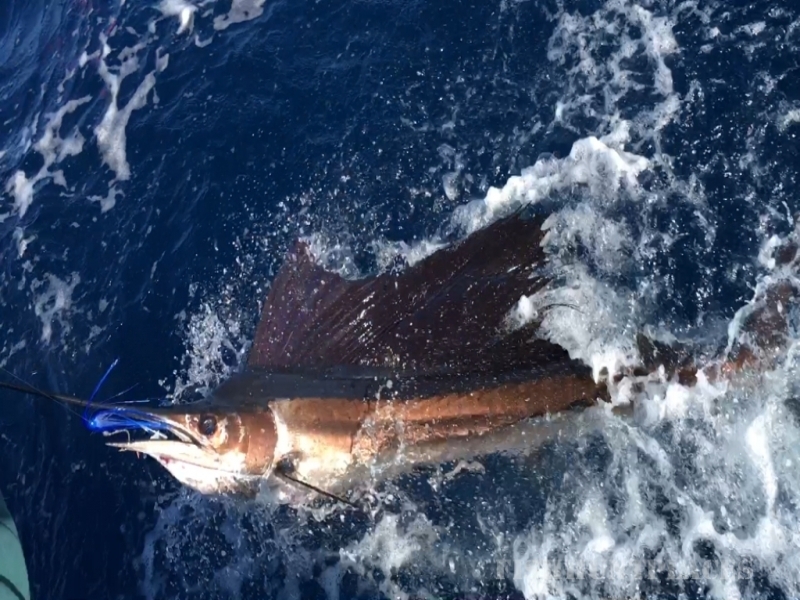 Captain Britt has been fishing for over 25 years and is a member of the IGFA, the Billfish Foundation, the NC Governor's Cup Series, The Big Rock Fishing Center and the North Carolina Waterman's United.